Wicked Good Travel Tips / Travel Syles / Family Vacations / When Winter Gives You Ice Castles – Come Out And Play! Winter 2015 has to be one for the record books with huge snow storms and frigid temperatures whipping across the country. But it’s not all bad news. Remember the thrill you had as a kid when you could run out in the snow and play? Now with winter school vacation just days away, there’s a new attraction that is sure to light up smiles on every face, old and young! 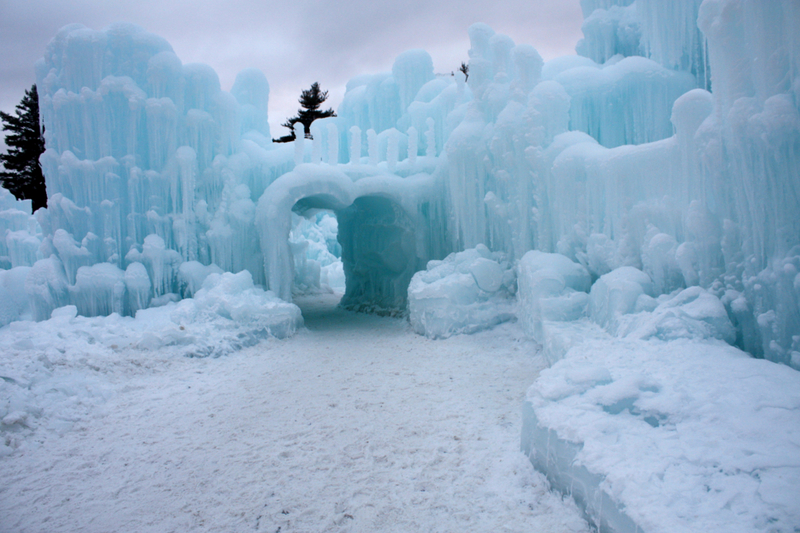 Ice Castles have sprung up across America thanks to a very imaginative Utah-based visionary. Maybe our fascination with ice castles began with the introduction of ice hotels in Scandinavia… with our worry about melting ice glaciers, or perhaps our imaginations were ignited with the movie “Frozen”. No matter, the sight of soaring towers of ice are a fascination. The story of the modern day Ice Castles began in Utah with a creative Dad who wanted to build a fun outdoor playground for his kids who had recently moved from warm California to cold Utah. Brent’s cabin fever morphed into a field of ice formations with a 20 foot slide, ice caves, and castle-like towers. And the rest, as they say, is history. Today Brent’s company builds gigantic ice palaces where visitors can walk, squeeze, crawl and slide through an acre of ice caves, tunnels, mazes, waterfalls, archways, and slides, in several locations including; Lincoln, New Hampshire, Eden Prairie, Minnesota, Stratton, Vermont, and Midway, Utah. The Ice Palace entertainment parks stay open from January until temperatures rise. As the structures are subject to climate swings, it’s important to visit IceCastles.com to check on the status of ticket sales, opening times and touring conditions. The ice castles are particularly popular at night when multicolored lights illuminate the interiors and pulse to vibrant music beats. 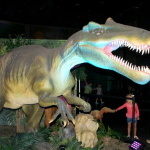 So take your sweetheart on a surprising date that will take her breath away, or bring the whole family for a winter outing they will not soon forget. The parks are bound to be busy during holiday weekends and school vacation weeks, so purchase your tickets early and let the goosebumps begin!